If you are not currently a member of BobSeger.com but would like to participate in the presale, here are the details on how to become a member. Bob Seger & The Silver Bullet Band kick off the second leg of their 2011 Tour tomorrow night, November 2, at the Eastern Michigan University Convocation Center. With the stage built and the sound and lights set for today’s rehearsals, the production team is happy to make additional seats available for purchase. Tickets are available now at Tickemaster.com, emutix.com and the EMU Convocation Center box office. 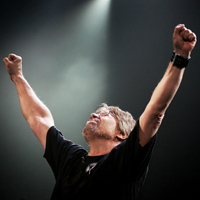 Check out BobSeger.com for all the latest tour information! Check out BobSeger.com for more information! Billet suivant Chick Corea: Live w/ Herbie Hancock, John McLaughlin, RTF, Bobby McFerrin & more!